The following post comes from our friend Brad Smith at Codeless. Brad is a frequent contributor on Kissmetrics, Hubspot, Unbounce, Moz and more! PPC platforms like Facebook and Google AdWords can be a nightmare for some marketers. There are virtually hundreds of metrics on each platform, making it difficult to sort out the good from the bad. Deciphering which metrics give you the full picture and which are deceiving you can be complex. 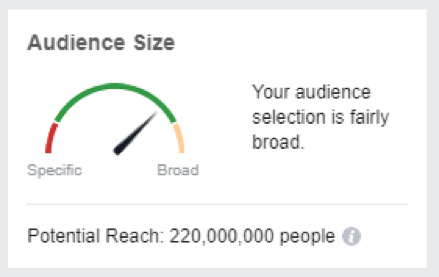 So it’s no surprise that the majority of small business owners say that Facebook Ads don’t work. Most people tend to get caught up in metrics like impressions and clicks, or essentially, traffic. They focus on driving as many visits as possible. Traffic has become a marketing KPI. You’d rather have 200 visits a month and 50 conversions than 500 a month and 25 conversions, right? Right. Because that means spending less than half the budget and getting double the conversions. Focusing on the wrong metrics can quickly lead down an inescapable rabbit hole with the potential to deplete annual PPC budgets in a matter of weeks. Conversely, focusing on the money-making metrics can have the opposite effect. 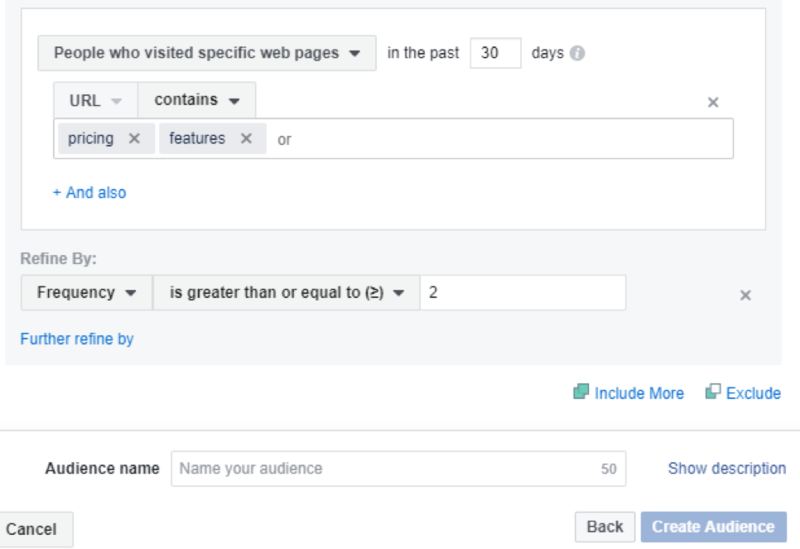 Here’s how you can and why you should use stronger PPC analytics to generate more revenue with less traffic. Tons of clicks and impressions. Wow, we are generating some serious buzz right now! Not bad! That’s a pretty high conversion rate for PPC. Some are branded terms, so that obviously throws off the rate a bit. Then I realize that this campaign is for consultations. Meaning they haven’t directly resulted in a sale, and most of them won’t convert. 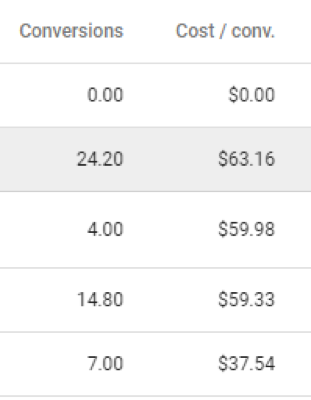 So all of those thousands of clicks last week were costing me tons of money without really adding money to my bank account. They are essentially traffic metrics. Metrics that don’t contribute to profit. 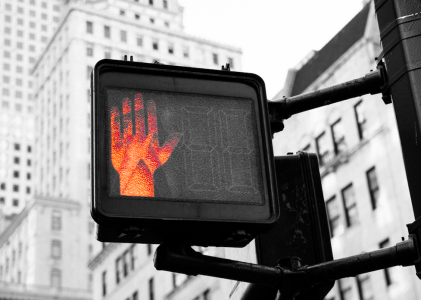 Focusing on traffic-based metrics can be a recipe for PPC disaster. You don’t need 80k impressions and thousands of clicks to be successful. But most think the opposite. More clicks means more popularity and that’s better. And he’s absolutely right. Focusing on tedious tests and metrics only detracts from the main goal at stake here. A/B tests require traffic, and that requires money. But conversions don’t require thousands of visits. They require specific visits that are more likely to convert. Marketers need to start focusing on the best PPC analytics if they want to drive more revenue with less traffic. 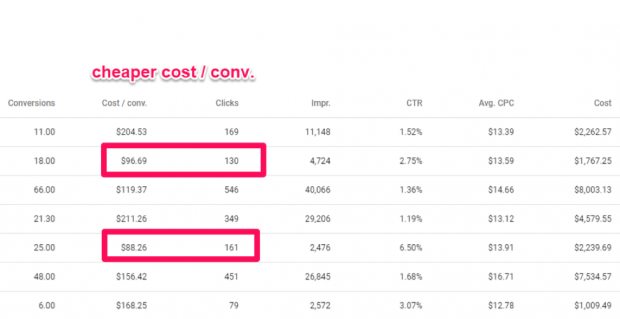 It’s much better to have less traffic and more conversions when it comes to PPC. Why? Because that means you’re generating conversions at a much cheaper cost. You aren’t paying for as many clicks, meaning each sale you actually convert costs you less to acquire. It all sounds good in theory, but how do you put it together in practice? By refining your keyword targeting and customizing your audiences. Focus on stronger PPC analytics like sales, conversions and real dollar amounts in order to get better audience targeting and more specific keywords. Get really specific with it. That keyword is highly generalized, unbranded, and is bringing in 6.6k searches every month. But when you look at the cost per click, it’s $30.74. So let’s say you rank first for it. You could be getting thousands of clicks per month, meaning you could be spending upwards of $153,000 if you got the majority of clicks. With terms and audiences like these, you risk casting too wide of a net and your budget will be gone in days with no conversions to show for it. At the same time, you can’t target an audience of five people because you’ll run out of traffic in a day. 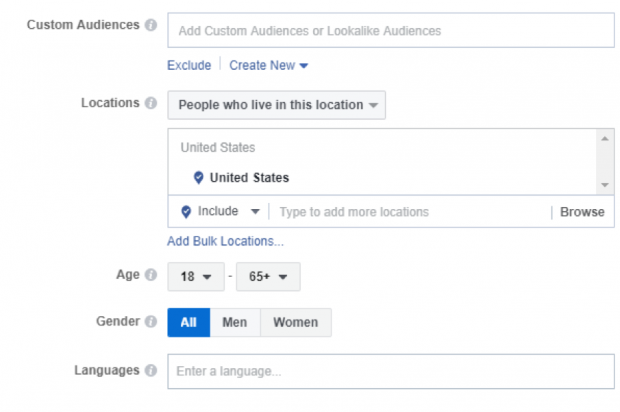 To prevent that situation, start creating incredibly specific audiences on Facebook that drive less traffic. 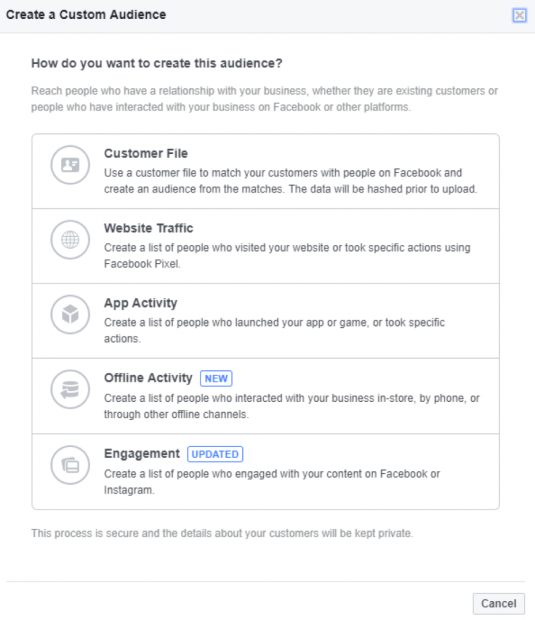 One of your best options is to create a new audience based on a customer file. This will take your existing customer emails or leads and create a matched audience with similar users. This audience will be highly targeted and often very small in size, allowing you to get traffic in smaller numbers that is much more likely to convert. If someone is repeatedly visiting your site, it suggests a sense of urgency. Perhaps they want to fix their problems or solve their pain point fast. Otherwise, they’d presumably visit once and return two months later. Frequency can also suggest an intent to purchase, especially if they returned more than once. Marketers can gather data from frequency and understand intent based on the specific URL visitors navigate to. Did they visit a pricing page instead of just your blog post? Did they land on a landing page instead of your social media? 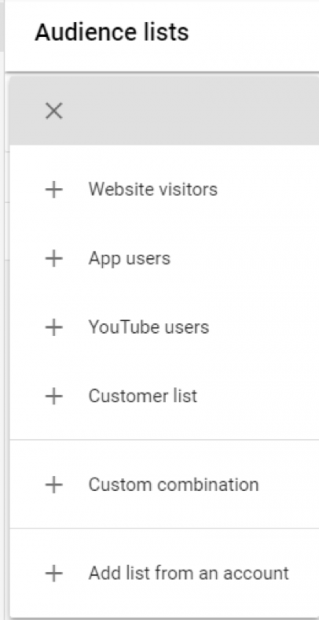 Marketers can create custom audiences in AdWords, too. Remember, the same goal here is to focus on stronger PPC analytics rather than traffic metrics. 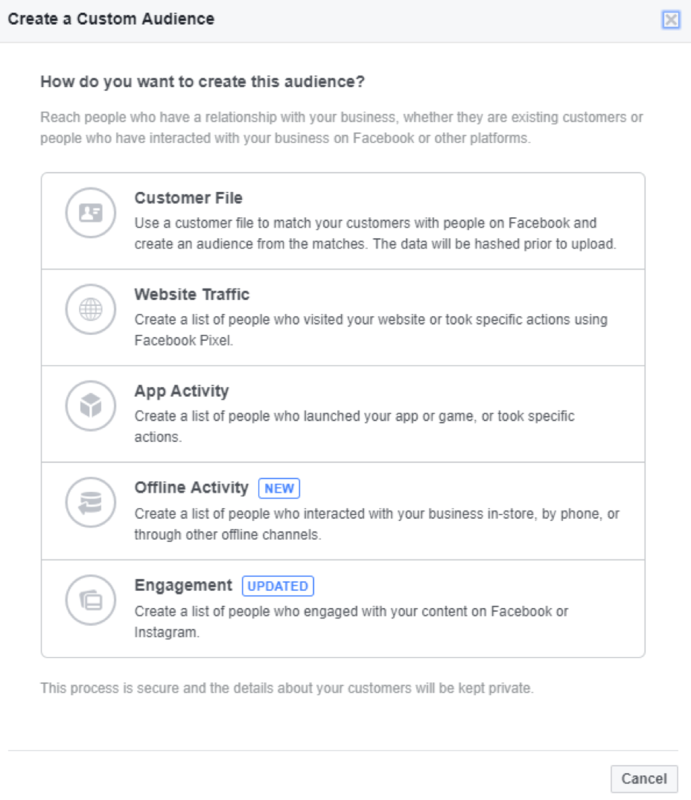 And that means narrowing down how much traffic you get by targeting specific audiences, using audience lists and customer lists and focusing on keywords that show intent. When you shift the lens from “more is better” to “being more specific is better,” you start to drive more sales with less traffic. To do this, perform a basic audit of your current PPC platform and campaign. The goal is to look for specific pieces in your account that are indicators of a wasted ad spend or a focus on the wrong metrics. Do you notice any trends? Anything glaring that jumps out at you? 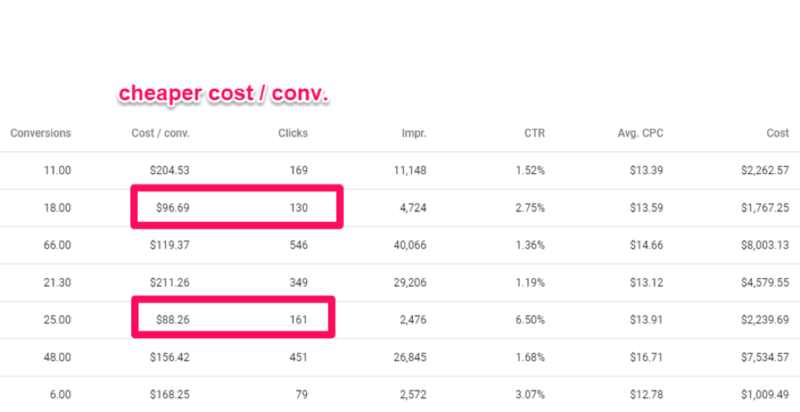 One thing I noticed in the example above is that certain ads are generating conversions, but they are crazy expensive in comparison to other ads. This is likely a sign that there’s too much untargeted traffic. The more traffic a site drives, the higher the likelihood that the cost of customer acquisition will increase. 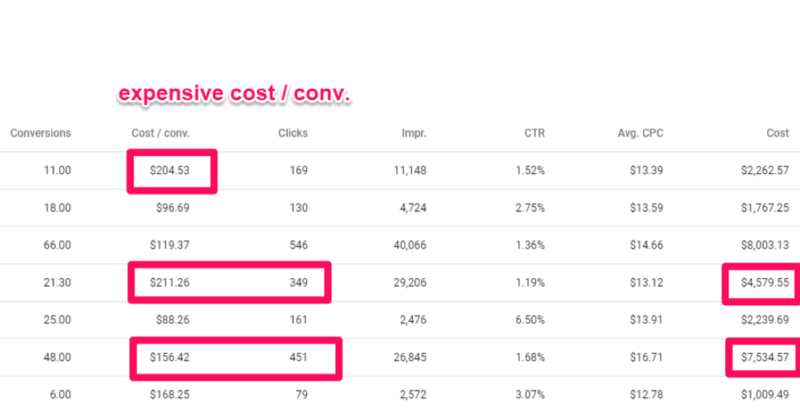 Whereas other ad groups above that are more specific only cost between $80-90 per conversion, with far less traffic. If you find that some ads or keywords are wasting your spend, don’t worry about the drop off in traffic associated with pausing them. If you are reluctant to pause expensive campaigns because you’ve got tons of conversions and traffic, look one layer deeper to make sure it’s having the desired impact on your bottom line. Focusing on the right analytics can generate significantly more sales with less traffic. 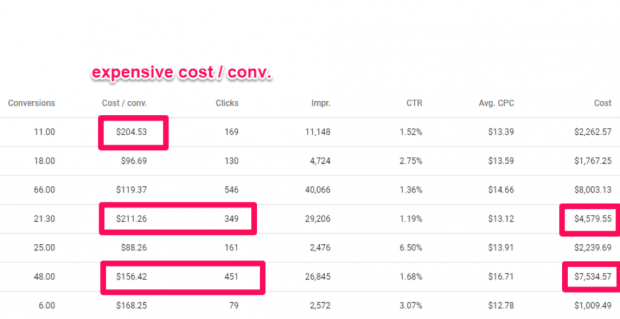 The strongest PPC metric and analytics data you should focus on is money. Profit. Sales. Real dollars being added to your bank account. You shouldn’t even focus on the “conversions” term. You should focus on the final result. For example, Robo 3D, a 3D printing company focused on video-based ads via Google and only targeted relevant traffic. They ended up generating almost $5 million in revenue from it, despite not having an audience the size of the entire United States because they focused on the final revenue numbers, rather than just conversions, followers obtained, etc. Pretty good, right? You’re getting tons of conversions at a relatively low cost in the grand scheme of things. Maybe your total lifetime value for a typical client is in the thousands. So that’s a pretty cheap acquisition cost, but can still be misleading. Less is better as long as the conversion rate is high. It’s better to have only five conversions from consultations that lead to a final sale generated from 10 clicks than five deals closed based on 40 “conversions” that then turned into a lead. 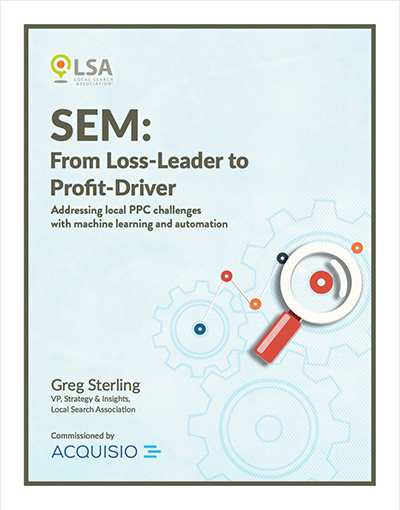 This situation is ideal because it means marketers are spending less money on acquisition – that’s the impact that stronger PPC analytics can have. What are your thoughts on this? What metrics do you tend to focus on to produce more revenue? Let us know in the comments!